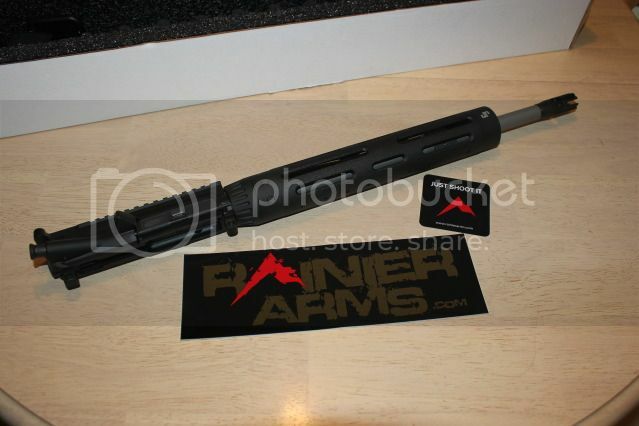 Looking to buy a SPR type barrel, the two barrels I have found are a Rainier Arms Select and a White Oak Armament. Other than the difference in twist (1/7 vs 1/8 twist) they appear to be similar. What are people opinions of each brand? Compass lake is another one to look at there are a few more as well. what else would the coin be? 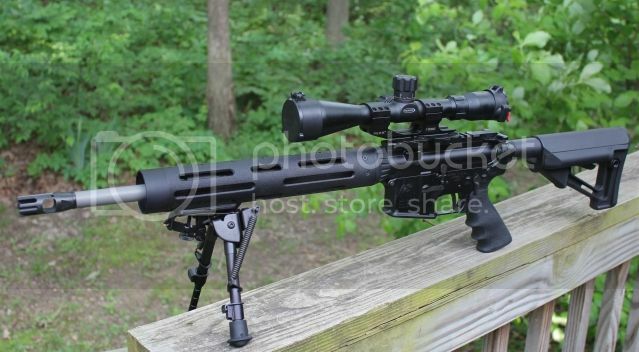 How would those two compare to BCM SS barrels? I think the trouble is going to be finding someone who has accuracy tested the barrels from all 3 sources. I am personally between all of these options now. My limited research has concluded that you really can't go wrong with either of these choices. It will likely come down to what is available at that time. agree, toss a coin but the 1/8 will give the better versatility. Rainier CV16 upper with a 16" middy Ultramatch barrel. I couldn't be more pleased. 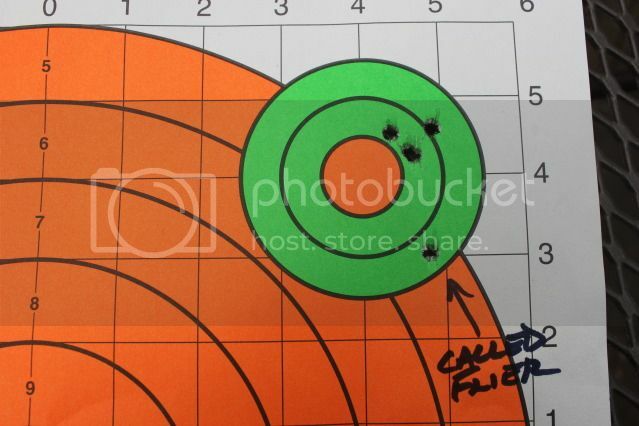 This was the 2nd group I shot out of this barrel, Black Hills 68gr Heavy Match. 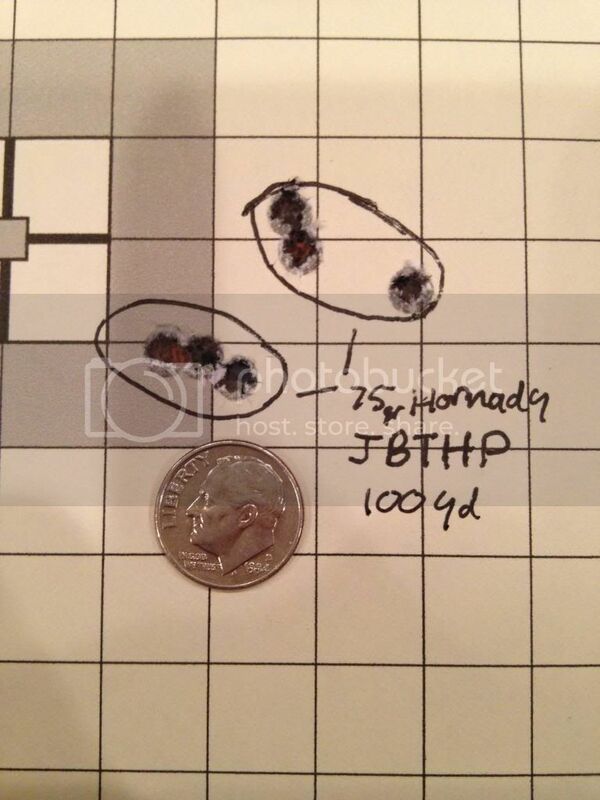 I told John what I wanted the barrel to do when I ordered it and that was less than 1 MOA. I think they delivered. I don't see how you could go wrong with either Rainier or White Oak. If I could have found bought one of their barrels when I was building my pistol I would have. You can't beat their CS.